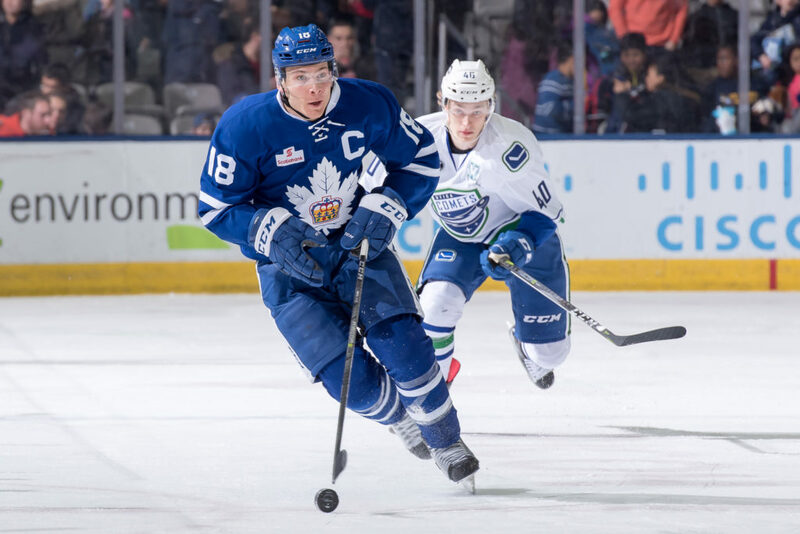 The Toronto Marlies are set to face the Utica Comets in the first round of the 2018 Calder Cup Playoffs at Ricoh Coliseum beginning on Saturday, April 21st followed by Game Two of the series on Sunday at 4:00 p.m. Timing of Game One will be determined this week. All Toronto Marlies playoff games will be televised live on Leafs Nation Network. Purchase a 2018-19 Marlies Membership to secure complimentary tickets to all home games in Round 1 of the Calder Cup Playoffs or purchase single game tickets online through Ticketmaster. This season marks the 10th trip to the postseason in Toronto’s 13-year history. Toronto reached 50 wins this season for the third time in franchise history (2007-08, 2015-16) and set the League record for most road wins in a season (30). The Toronto Marlies clinched a playoff berth on March 10 and will finish as the regular season champions, securing the Macgregor Kilpatrick Trophy on April 6. The Marlies are also conference champions for the third time in team history (2011-12, 2015-16) and division champions for the sixth time. The Toronto Marlies are the primary development program for the Toronto Maple Leafs. The current Toronto Maple Leafs roster features 12 players who were developed by the Marlies (Tyler Bozak, Connor Brown, Connor Carrick, Travis Dermott, Jake Gardiner, Zach Hyman, Nazem Kadri, Kasperi Kapanen, Leo Komarov, Josh Leivo, William Nylander and Morgan Rielly).